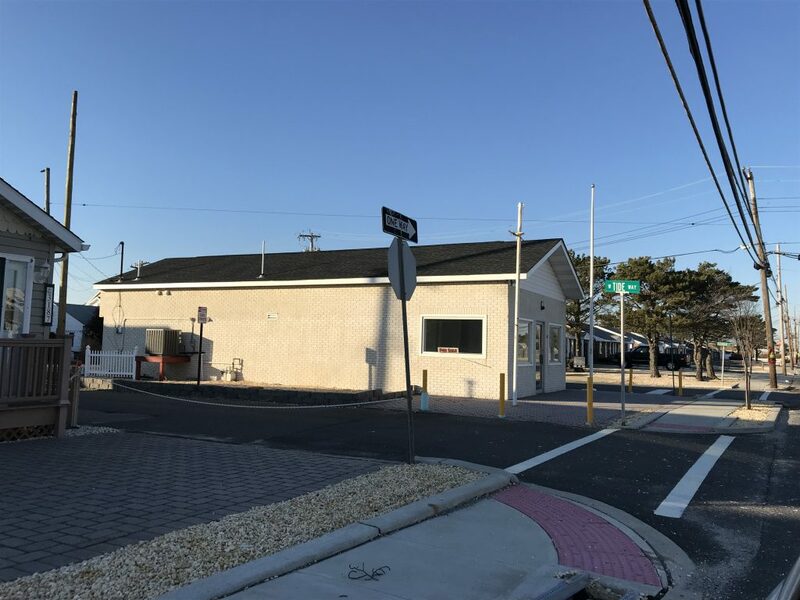 The short-lived Ocean Beach post office – opened after Lavallette’s municipal building was destroyed in Superstorm Sandy – will be razed in favor of three residential homes. The Toms River planning board this week unanimously voted in favor of an application by 3191 Route 35 LLC, the legal owner of the plot of land, to subdivide the property into three residential lots over 5,350 square feet. The property is currently situated in the business zone, but is surrounded by residential properties. “The three lots would generally conform to the R-40 zone and the Ocean Beach rules and regulations,” said Frank Baer, an engineer hired by the property owner. The lot is located in the Ocean Beach II community, which is governed by homeowners’ association rules in addition to municipal zoning laws, said Erika Stahl, assistant township planner. Some neighbors voiced concern over the density of the lot, but the board ultimately approved the application, citing the overall character of the area. “The area is residential in nature, to the north and south,” Baer said, adding that many surrounding lots of 50-by-30 feet in area, making the new lots a bit larger. The application before the board only sought to subdivide the property; no homes were proposed. There is a chance that a developer who wishes to build on the plot could have to return for board approval if the wishes of Toms River and the Ocean Beach II association conflict. “If we adopt this subdivision, and then they try to get a permit from the association and didn’t seek the right setbacks, they’d have to come back here and get another variance,” Stahl said. According to public records, the property is owned by Brick and Britta Wenzel, of Lavallette. The building was used as a United States Post Office after Superstorm Sandy led to the closure of the post office in the Lavallette municipal building. A new municipal building opened in 2016, and the post office moved back in shortly thereafter.